Accidents involving large tractor-trailers and commercial trucks tend to cause significantly more costly damages than typical accidents involving smaller vehicles. Trucking companies typically carry expensive insurance policies to protect their own interests and assets after accidents. However, the relationships between drivers and trucking companies and the complexities of trucking insurance can present significant challenges for an average driver following a trucking accident. Determining liability for the accident is the first step toward a recovery, but any driver in this situation should expect to deal with trucking insurance company representatives. Most companies bear legal responsibility for the actions of employees as long as those employees are actively performing job duties. Employers generally do not bear any liability for an employee’s actions if the employee is off the clock. A truck driver using a company vehicle for personal reasons would likely need to use his or her own personal auto insurance if an accident occurs while off duty or during a break for some reason. When an accident occurs while the truck driver is on company time, the trucking company’s insurance will come into play. Unfortunately, not every truck driver enjoys the same kind of employer-level insurance protection in the event of an accident. Some trucking companies employ full-time drivers and assume liability for those drivers. Companies that hire independent contractors may not provide insurance coverage, compelling their contracted drivers to carry and use their own auto insurance policies. When a trucking accident occurs while the truck driver is on company time, and the driver is a covered employee of a trucking company, the company assumes liability for the accident. This falls under the legal concept of vicarious liability, or one party’s liability for the actions of another. Trucking companies have a responsibility to adequately train, vet, and certify their drivers. Additionally, the company must carry appropriate insurance coverage that meets all applicable regulations, and develop and maintain clear safety and training policies to minimize the chances of accidents. When a trucking accident happens due to truck driver error, poor maintenance, trucking company negligence, or any other failing on part of the trucking company, the company will likely absorb liability for the accident. However, any traffic accident will inevitably lead to an investigation, and trucking accidents tend to cause significantly more damage than standard traffic accidents. An insurance company covering a liable trucking company will want to verify its policyholder is actually liable if an injured driver intends to file a claim against the trucking company’s insurance. When another driver causes an accident in any state with a fault-based system for handling car accidents, or an accident exceeds the threshold for legal action in a no-fault state, the injured driver must file a claim against the at-fault driver’s insurance policy. If the at-fault party does not have sufficient coverage, the injured party may proceed to a personal injury lawsuit. However, almost any trucking accident will require dealing with a trucking company insurance representative at some point. Dealing with a trucking company insurance representative is similar to dealing with most other insurance claims adjusters. 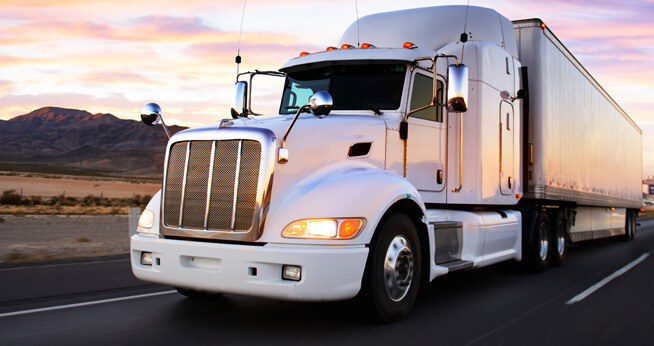 Insurance companies providing commercial-level insurance to businesses like trucking companies tend to be very thorough in their claim investigations. Be honest in your answers to a claims adjuster’s questions, but do not offer any more information than necessary. Be careful of conversational tactics like long pauses, asking repeated similar questions, or the adjuster attempting to trick you into admitting fault. Consult with an attorney. Your lawyer can represent you and even handle correspondence with insurance carriers on your behalf. Some trucking accidents may involve multiple insurance claims. Determining liability for trucking accidents is often difficult, but an experienced attorney can help an injured driver assess his or her total damages, investigate the accident to determine liability, and help negotiate with insurance claims adjusters if necessary.